Most of the books below are Kindle eBooks, which is my preferred format of reading, but usually you can buy them in various formats. For the books published by Future Strategies you can use the code BPMEE provided by our friends from BPM Eastern Europe to get a lower price (which is useful if you are buying few copies of print version). First edition of this book convinced me that BPMN is not too complicated for business users and helped me understand many of the BPMN silent assumptions. Highly recommended. Useful overview of BPM-related tools and methods. I always have it next to my desk at work. I bought it after my colleague from work told me about Roger Burlton and his methodology. Very useful. Bought it after interview with Jim Sinur to learn more about Digital Transformation. It’s a very useful book with lots of practical strategies and case studies. Very useful book for people who want to start a career as a Business Analyst or (like in my case) wish to understand better how Business Analysts work. Helped me a lot with content preparation for my course BPMN for Business Analysts on Udemy. As the name suggests this is a book with questions (and answers). 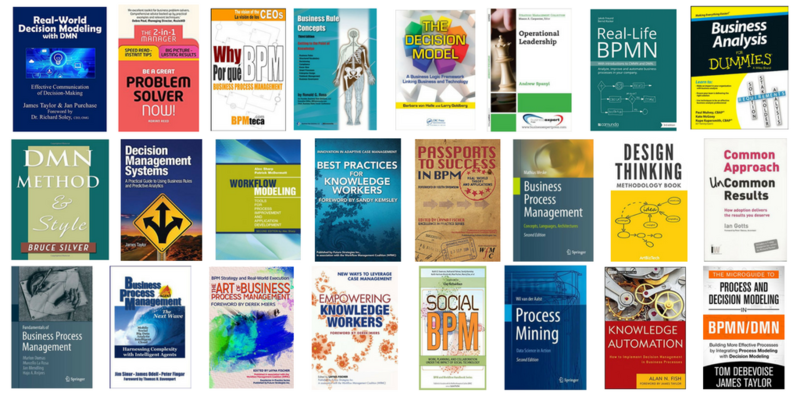 33 experts answer most burning questions about BPM today. Many important perspectives and lots of useful ideas. Left five star review on Amazon. I got this book for review before it was published and loved it. It gives you actionable tips for various stages of BPM implementation in organization. 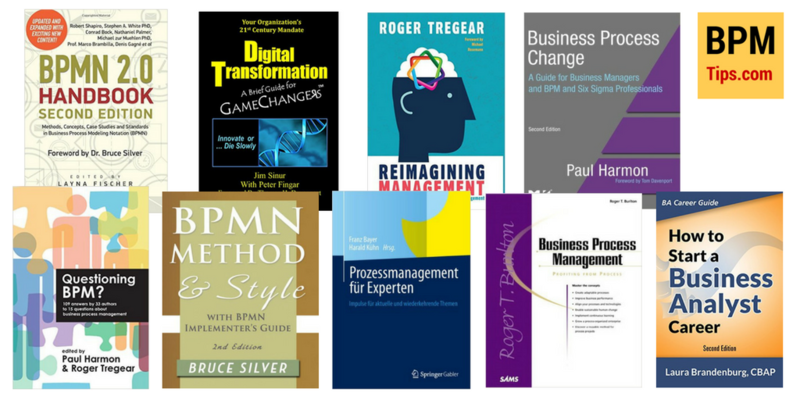 After running BPM Value Summit and preparing several roundup posts (on BPMN, DMN, BPM skills and selling BPM in organizations) with contributions from over 60 experts one of my resolutions for 2017 is to keep learning from the best (and share with you what I learn). Below you can find a list of books which I plan to read. If you can recommend one of them (or some other books) please leave a comment. Be a Great Problem Solver – Now! IMPORTANT: please note comment from Ian below: he has number of copies and is happy to donate them. Thanks Ian! Thanks for your great comments suggesting more valuable books! Nathaniel Palmer, Keith Swenson, Peter Fingar, Reddy Surendra et al. The two little books that really had a great impact on my BPM journey from a Business Manager and Executive perspective were written by Andrew Spanyi, “Business Process Management is a Team Sport” (Play it to win) and “More for Less”.